So far there is no drug available which find and destroy human cells hiding virus HIV in them or human cells with HIV viral genom intercalated in their DNA, and kill such cells and make human body free from HIV carrying cells. This is the most important reason because of which it is not possible to provide a life saving treatment to a person infected with HIV, even though with current available drugs a patient can servive to a average life span, but patient have to take medication through out the life otherwise HIV virus count goes up and worsens health of an individual infected with HIV. 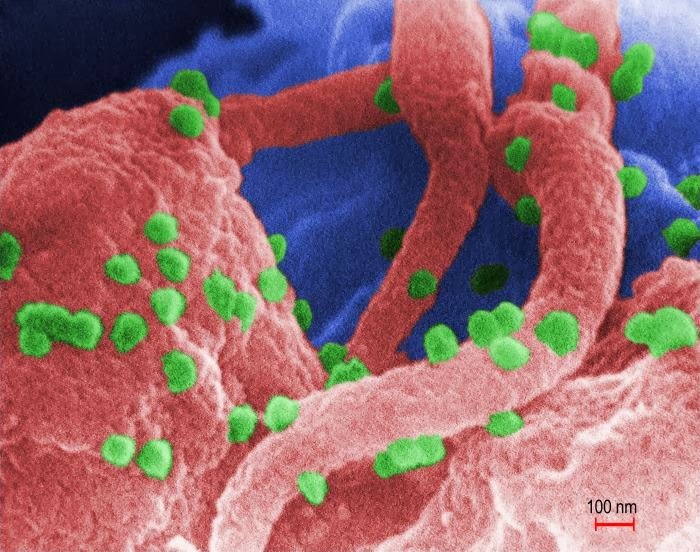 HIV virus carrying cells are one of reason for which HIV patient have to take medication throughout his life to keep viral caount to a lower level, as these human cells with HIV viral genom intercalated in their DNA keep on reproducing HIV virus and there is no drug available to clear off such cells. At present there are drugs available which act against at all stages of HIV infection process, except one as described above, there is no drug availble to eradicate HIV in its final step of infection process and reproduction. A new drug is under research and development that will acts against such human cells hiding virus HIV or human cells with HIV viral genom intercalated in their DNA. The drug in study is a toxin, which is geneticaly designed toxin, this tixin is cytotoxic to only cells which harbour HIV virus or cells carring HIV DNA. Toxin is immunotoxin named as 3B3-PE38 which act against HIV carrying human cells by distroy them by halting their protien syntheis. Drug is found to be sucessful in humanised rat modle, this will be a first tep towards providing a complete life saving treatment against HIV infection. 1) HIV virus and human cell attachment to cell …Drug available Attachment inhibitors CCR5 coreceptr antagonist. 4) HIV DNA is formed from RNA which is intigrited in to human cell by enzyme integrase ..drugs available, integrase inhibitor. 5) HIV makes its protiens from human protien .. drug available against enzyme protiease which facilitate this process. 6) Human cell infected with HIV serve as factory of HIV virus:- one such cell reproduce millions of HIV virus …There is no drug available that act against such cells. Reseach has been done by Dr. Edward A. Berger National Institute of Allergy and Infectious Diseases (NIAID) Dr. Ira Pastan of National Cancer Institute (NCI). Dr. J. Victor Garcia and colleagues at the University of North Carolina School of Medicine.